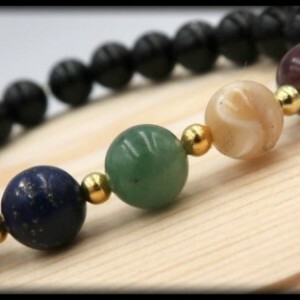 Give benefit to the 1st and 6th Chakra with this Black Obsidian band that will assist to manifest your spiritual energies. Black Obsidian repels negativity, disperses unloving thoughts clears confusion, and brings clarity to the mind. It is a creative stone which grounds the soul. Being the "Stone of Truth", it helps one answer their bigger questions of life and love. 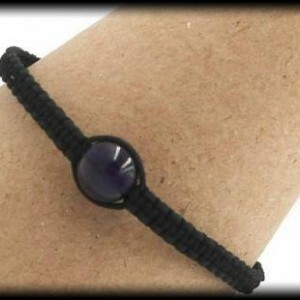 This black beauty is made with 8mm beads of Black Obsidian. IMPORTANT INFORMATION Please measure your wrist with a measuring tape to ensure the most accurate measurement. If you do not have a measuring tape, you can also use a string by wrapping it around your wrist and then cutting the piece of string. After you have your cut string, place it alongside a ruler and write down your measurement. To ensure a perfect fit, please had 0.5 inch to your wrist measurement, if you want a little room please add .75 inches to your wrist measurement.